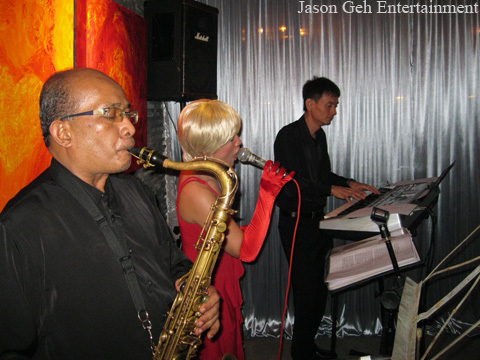 This was a last minute performance for the band as the host (based overseas) arrived in KL 2 days before the birthday and decided to have live band entertainment for their guests of about 20 pax. Deepak's partner arranged this surprise party. 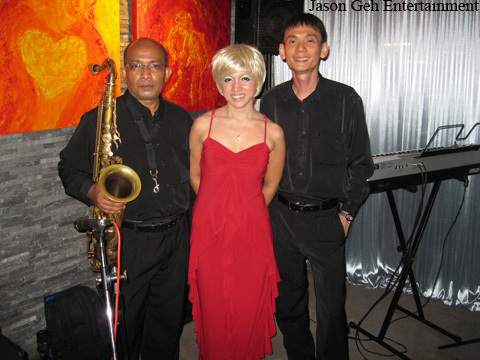 She choose to have Jason Geh's 3 piece jazz group consisting of a singer, saxophonist and Jason on keyboard to perform for the event. Jason and the band had the pleasure of dining at the patio of the restaurant prior to their performance. Service was good, food exquisite and the ambient was serene and delightful.